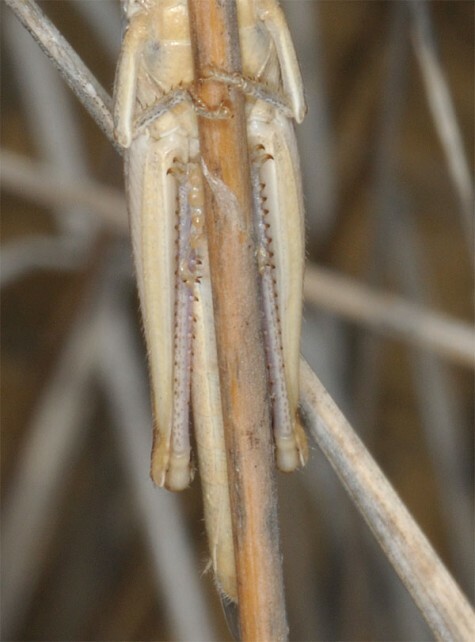 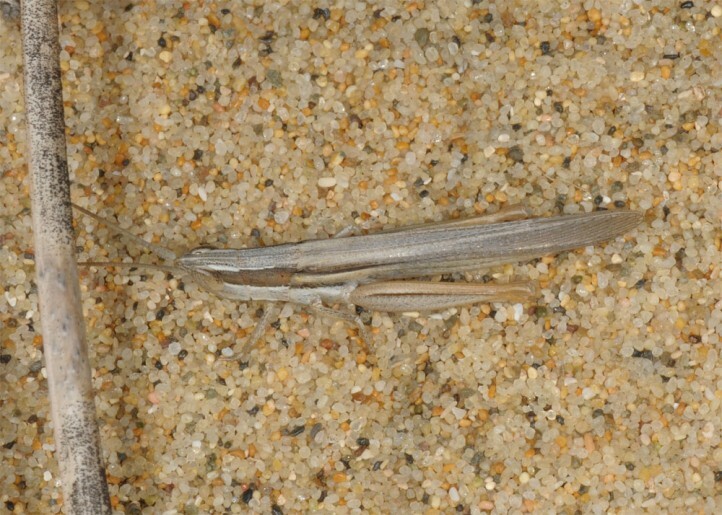 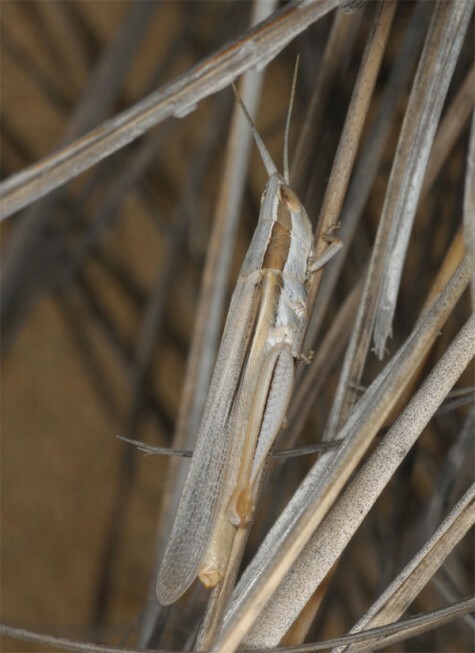 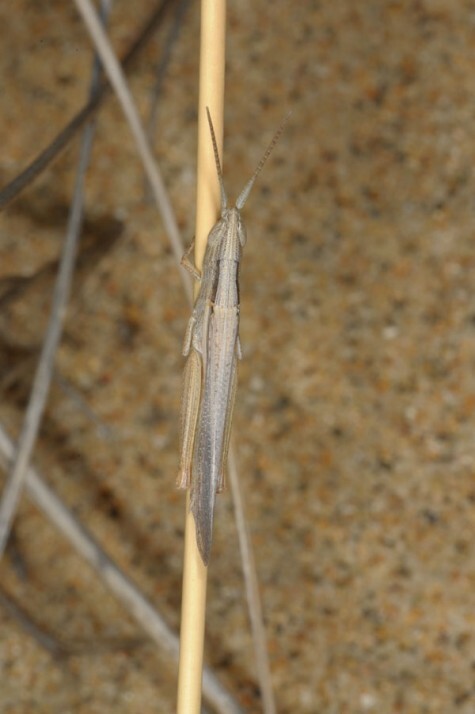 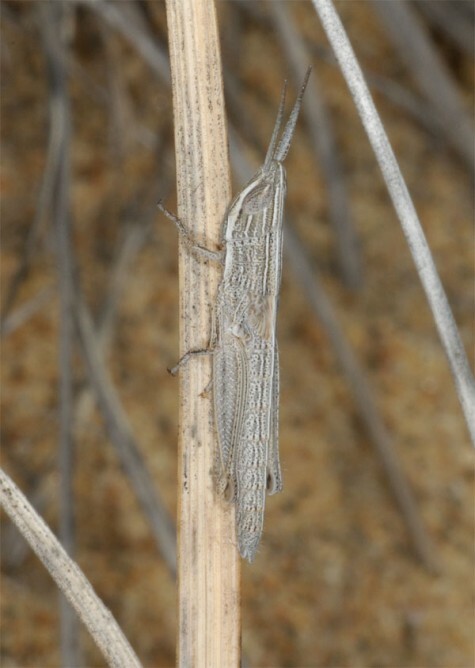 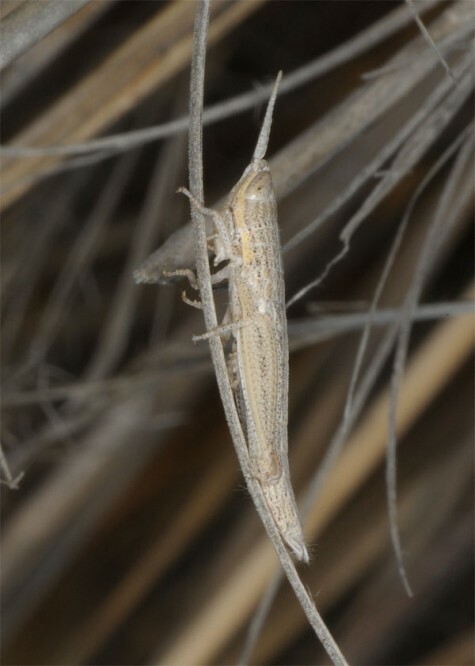 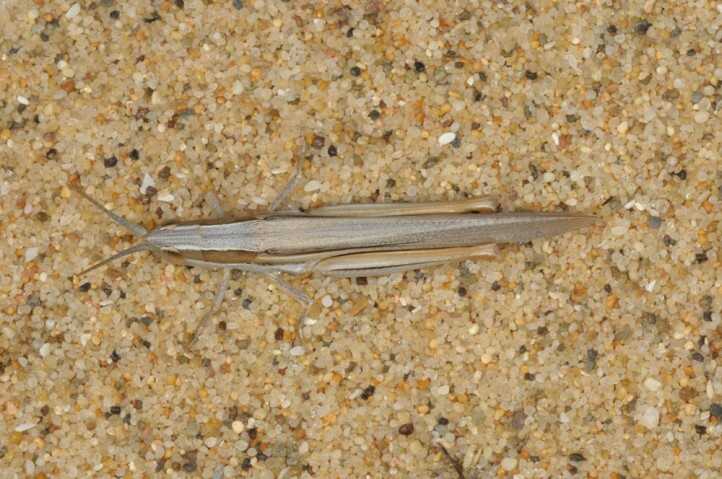 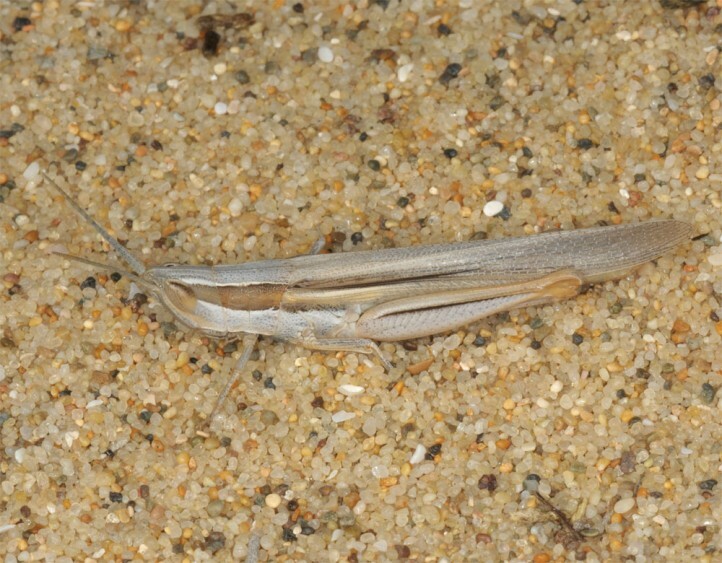 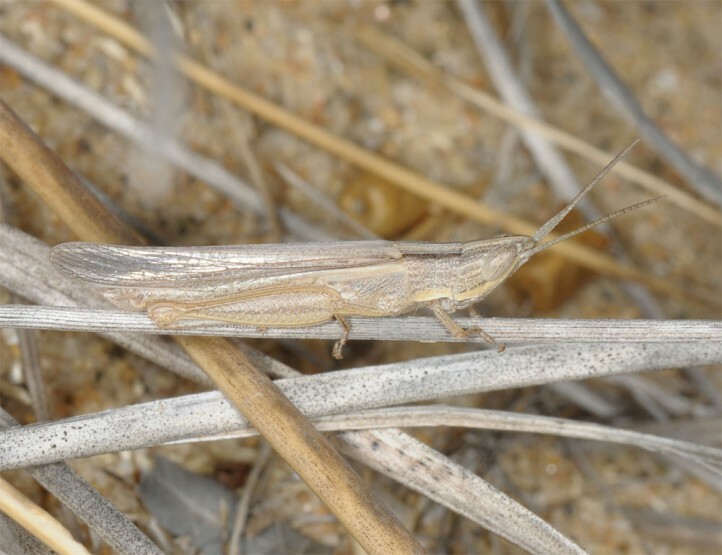 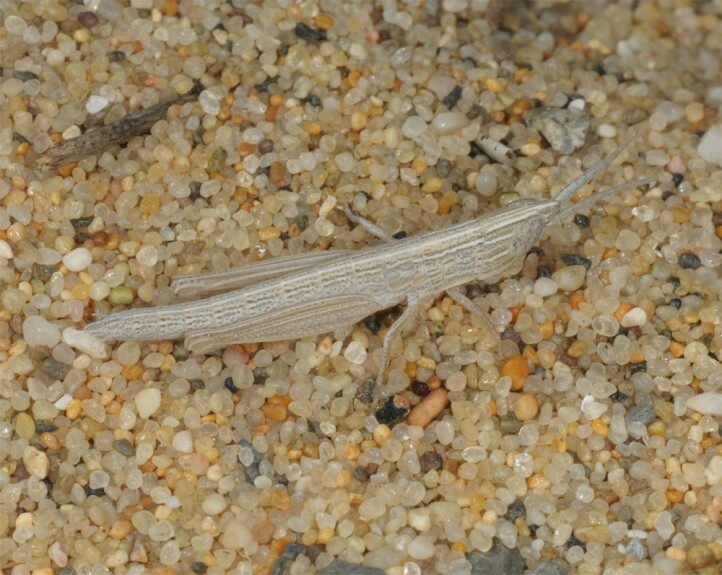 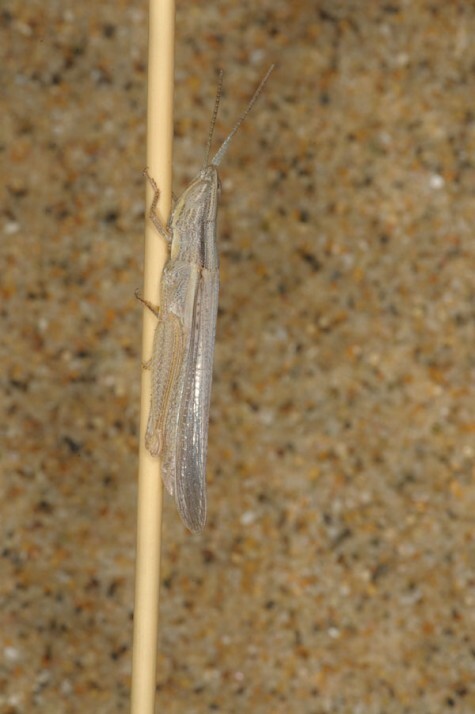 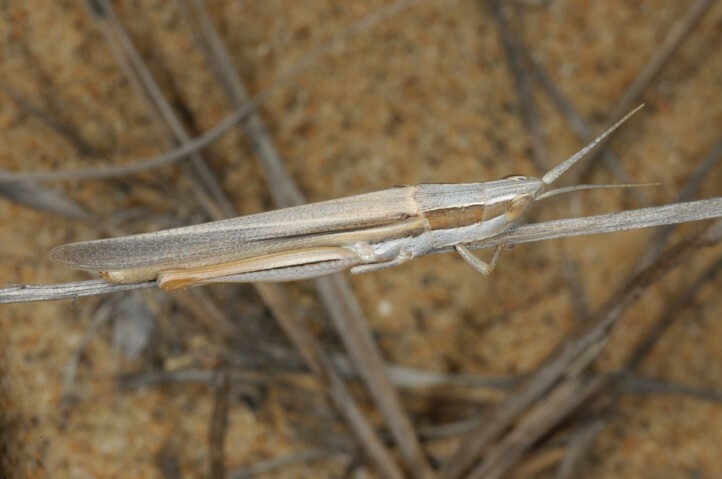 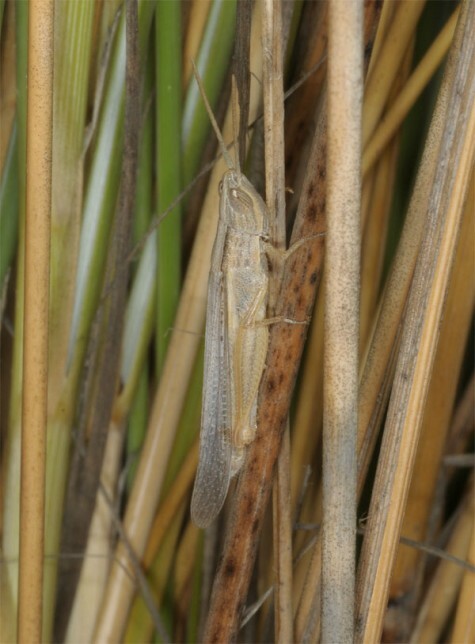 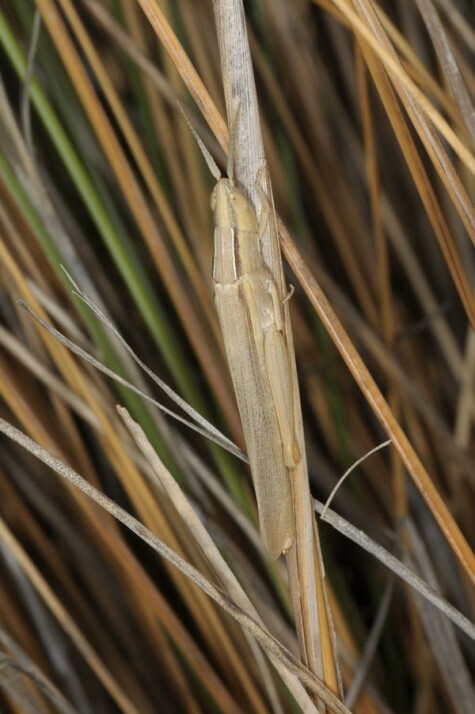 Ochrilidia nuragica inhabits Ammophila stocks (often consisting of only a few tussocks) in coastal dunes. 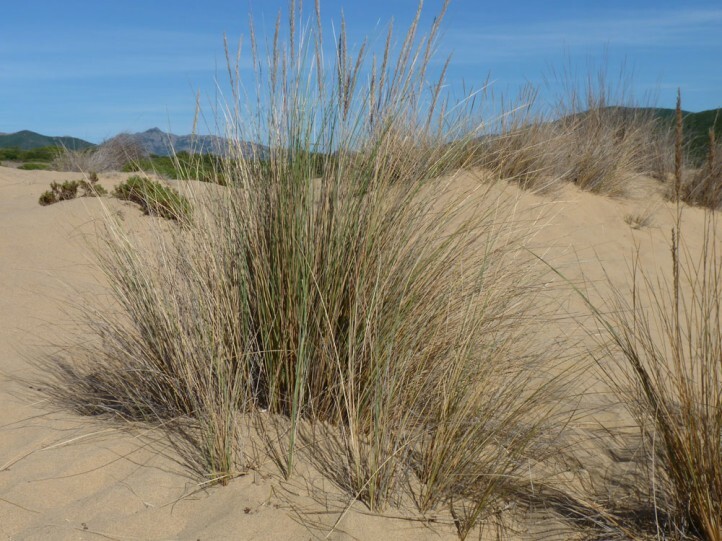 The animals usually keep themselves within the grass tussocks and flee to the next tussock (or have an intermediate landing on sand in between). 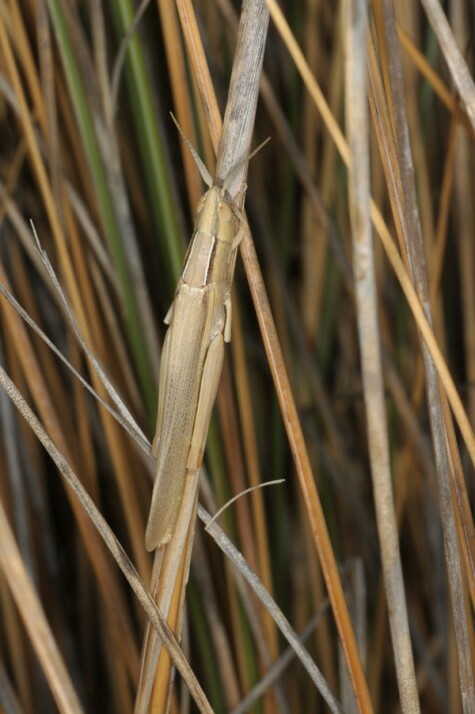 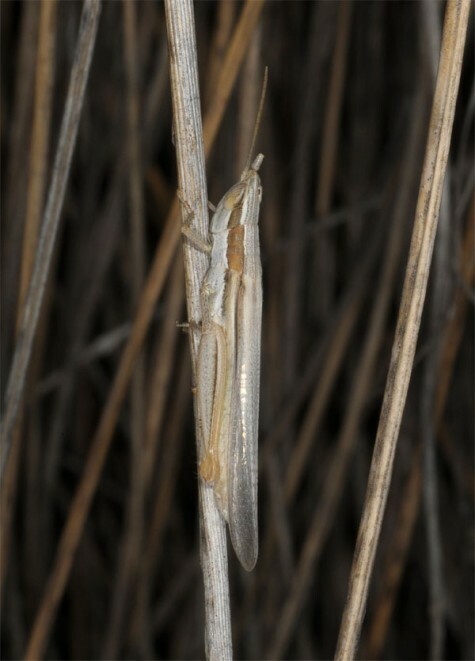 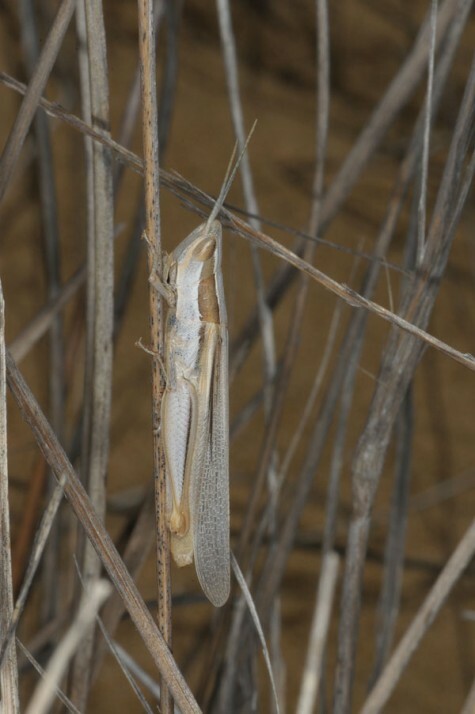 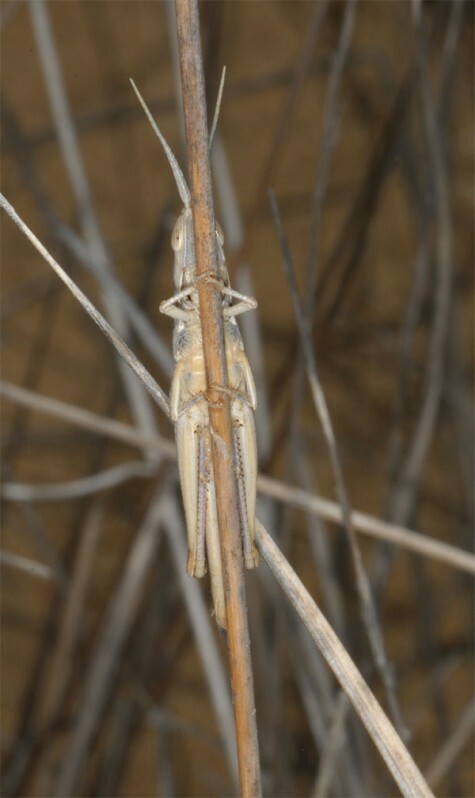 In late September 2018 (near Piscinas) I recorded adults as well as larvae in different stages. 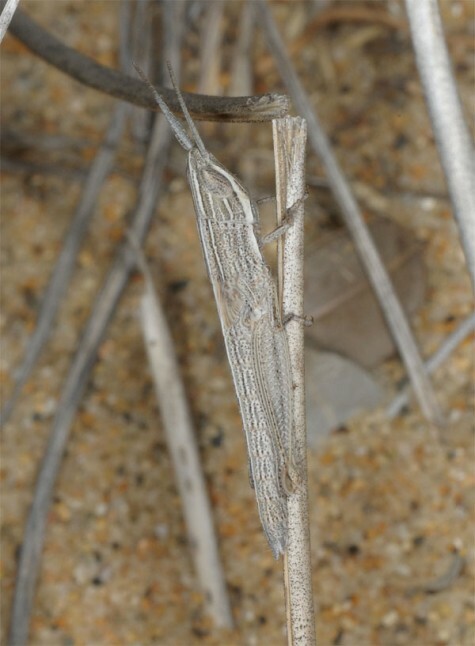 Thus it is probable that besides adults also larvae overwinter. 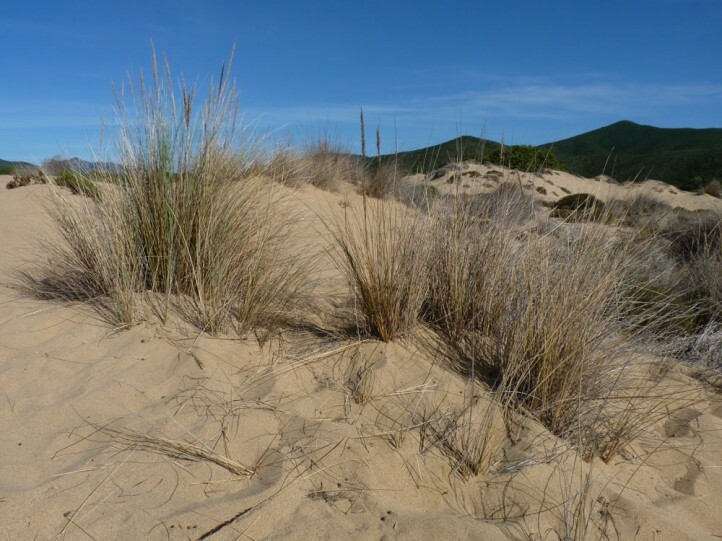 But in the mild winter near the coast the development should be continuously. 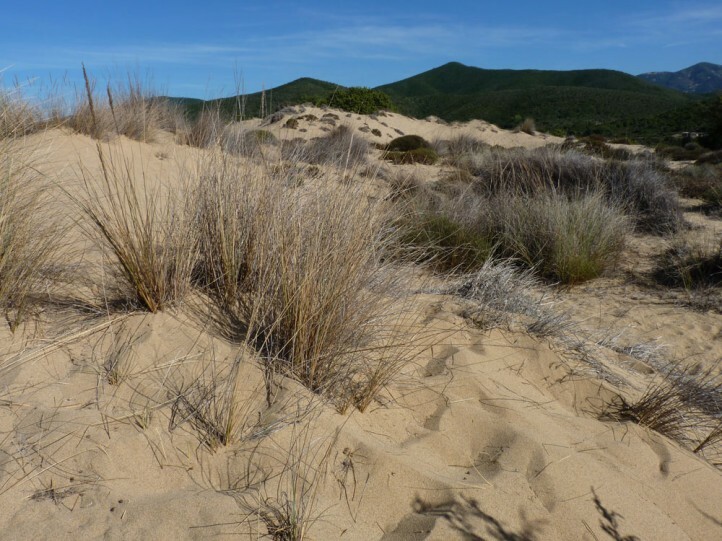 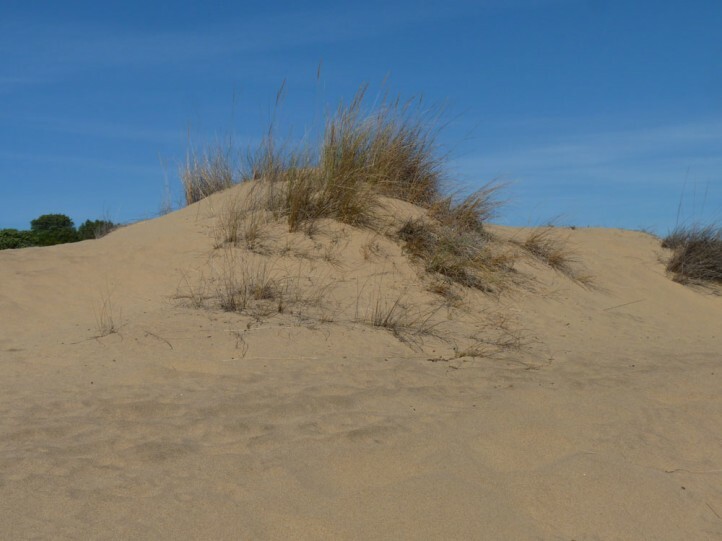 The even within the dunes often only small habitats are severely endangered by tourism and the involved degradations. 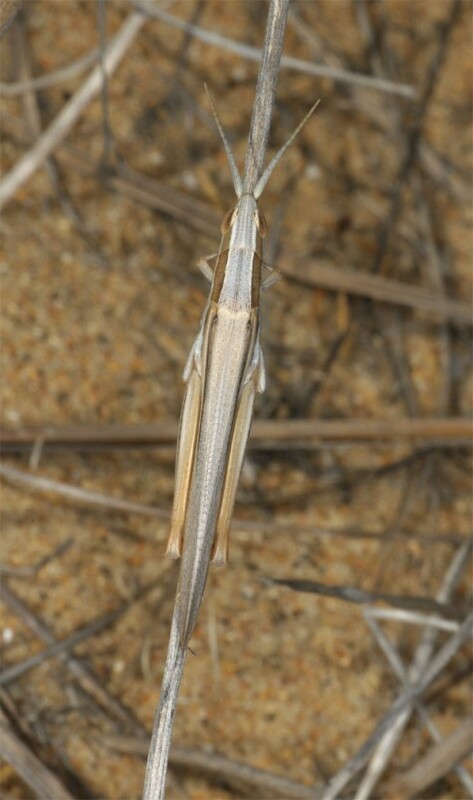 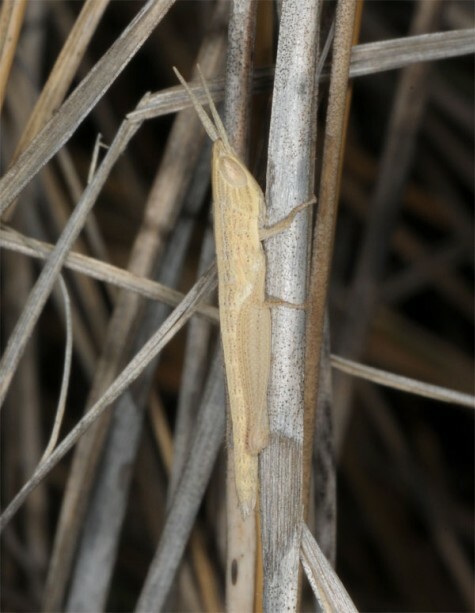 Ochrilidia nuragica is endemic to Sardinia and even there only found in a few isolated colonies in the southernmost quarter of the island.